Former Congresswoman Gabby Giffords, who survived a gunshot to the head nearly five years ago, wrote a powerful op-ed for USA Today on Sunday that called out Congress for inaction on gun violence. Titled “After Sandy Hook and San Bernardino, optimism can still change gun politics,” the former Arizona representative points out that 30,000 Americans have been killed by gun violence since 20 school children were killed in the Sandy Hook massacre three years ago. Giffords lamented the realities of current congressional inaction. “I know that this week, Congress will do exactly what its members have done every week since those 20 kindergartners and first-graders were murdered in their classrooms: nothing at all,” she wrote. She didn’t mince words regarding her former colleagues, calling out the “cowardice” of Congress for sitting still as the people they represent die. 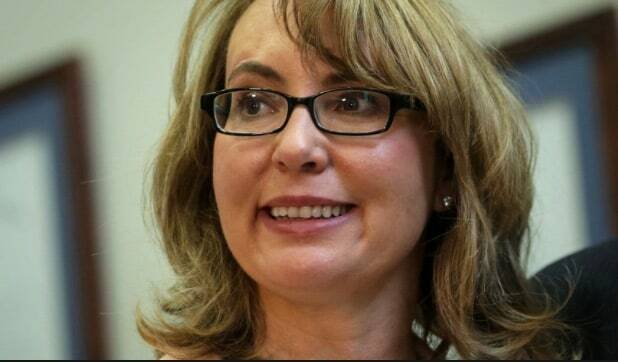 Giffords invoked the rallying cry used by gun control opponents to call for action. We hear often that “guns don’t kill people — people kill people.” And that is true. It’s not because we have guns that we have violence, and it’s not because of law-abiding gun owners like me, my husband, Mark, and millions of other Americans; we know that, and we know that no one action or responsible law will prevent every tragedy. But that is no excuse for inaction. Read Giffords’ full op-ed here. Newtown, Conn. - On December 14, 2012, 20-year-old Adam Lanza fatally shot 20 children at Sandy Hook Elementary School. They were between the ages of six and seven years old. He also killed six adult staff members. Washington D.C. — A former Navy reservist shot and killed 12 people on September 16, 2013, at a military facility. The gunman was killed. Tyrone, Mo. - On Feb. 27, 2015, Joseph Jesse Aldridge killed seven people — four of them relatives — in a door-to-door shooting spree before killing himself. Waco, Tex. - Nine people were killed and many more were injured after two biker gangs began firing at each other at a motorcycle club on May 17, 2015. Charleston, S.C. - Dylann Roof shot and killed nine people during a racially motivated shooting in a predominantly African-American church on June 17, 2015. Chattanooga, Tenn. - A gunman named Mohammod Youssuf Abdulazeez entered two military facilities on July 16, 2015, and killed four Marines and injured others, before he was killed. Umpqua, Ore. - On October 1, 2015, Chris Harper Mercer killed nine people and injured seven to nine more at Umpqua Community College before two police officers shot him. Mercer then committed suicide. San Bernardino, Calif. - 14 people were killed and another 21 injured after Syed Farook and Tashfeen Malik opened fire during a holiday party on December 2, 2015. The pair were later killed during a shootout with police. Orlando, Fla. - 50 people were killed and 53 wounded on June 11, 2016, at Pulse, a gay nightclub. Just before the shooting, suspected killer Omar Mateen called 911 and pledged his allegiance to the terror group ISIS. Mateen was also shot an killed by police on the scene.